It's not insurance... it's better than insurance! 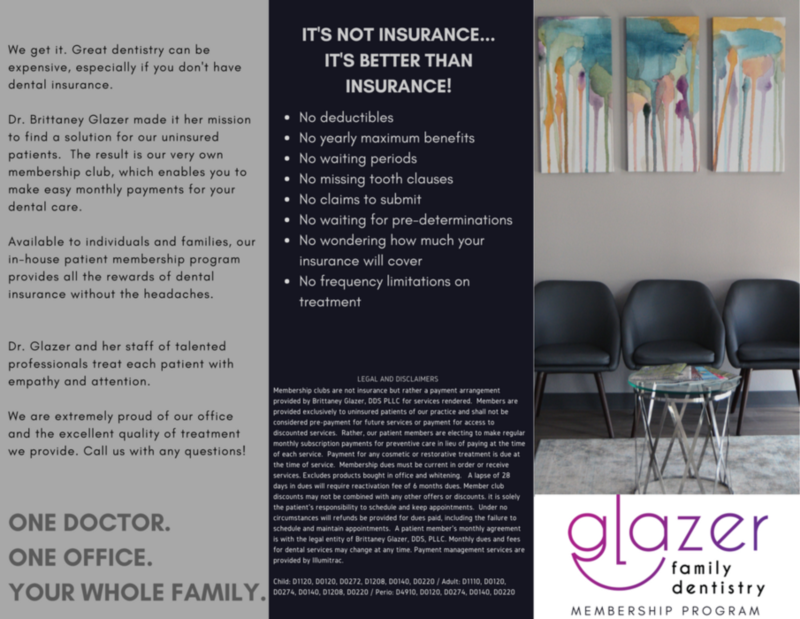 We have launched our in-house membership plan for patients who don't have dental insurance. 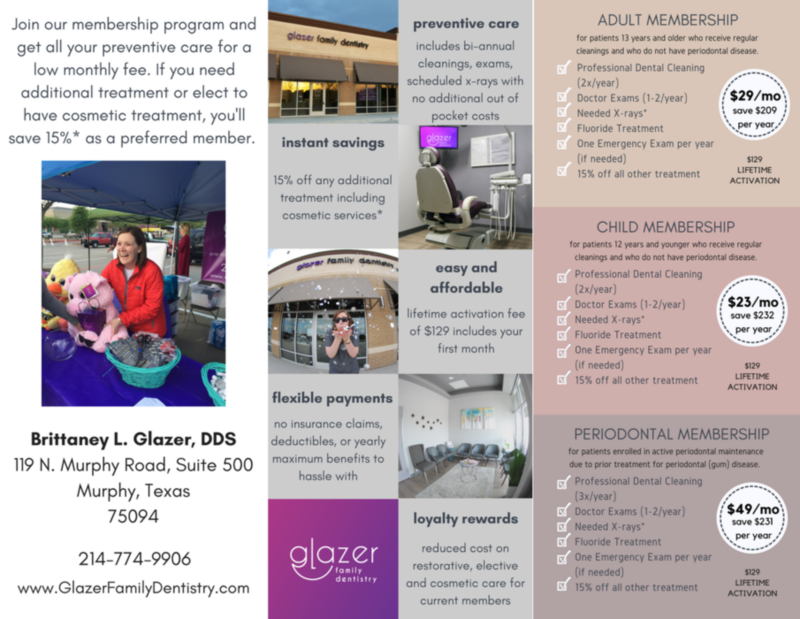 Available to patients of all ages, our in-house membership program is the perfect solution if your employer doesn't provide dental insurance, but you still want to take advantage of all the benefits of insurance. We understand that dental insurance plans benefits are complicated to understand. We designed our program to be transparent, easy to use and affordable. It only takes minutes to activate your membership and you'll be receiving instant savings only offered to active members of our plan!